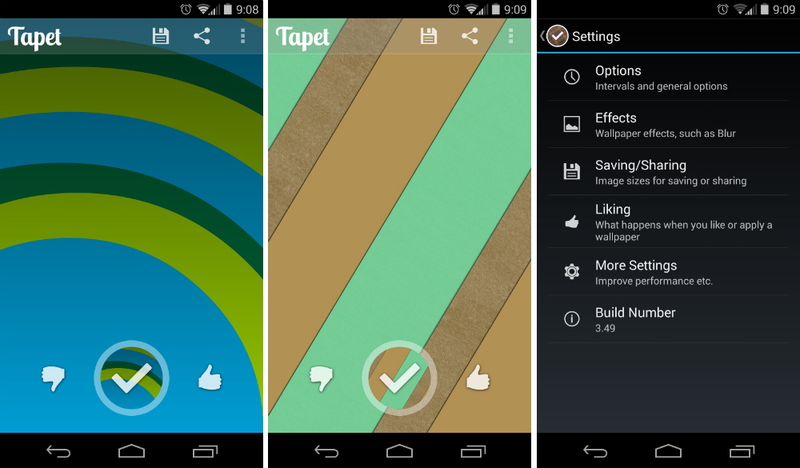 With Material Design and Lollipop taking over the Android world, another wallpaper application called Tapet is looking to catch a ride on the hype train. With Tapet, users simply swipe up and down to see more wallpapers presented, and then once you find one you like, apply it. If you see multiple papers you like, you can thumbs up the papers, which will then lead to the app showing you more of the same type of designs. This feature is suited towards a particular design you enjoy, as well as colors. In addition, users can save the wallpapers to their device, and then edit them however they choose to. With plenty of settings to tweak how the wallpapers are showcased, if you enjoy the Material Design look for wallpapers, the app is a no brainer. It’s completely free with no IAPs.